It's nice to be home, back behind my desk and tasting Ontario wine - this week I finished my annual "Living Local" article for Quench this year my focus was Gamay - what a great tasting that was, 50+ Gamays from across Canada, we are making some killer stuff ... I also found myself at Cuvee last month and tasted some of Ontario's best ... These were my findings. 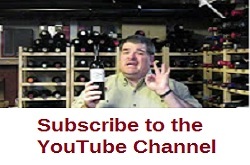 In addition to the six wines below be sure to check out the latest videos and podcasts - plus links to some reviews of older wines and cellar dwellers to see if they have stood the test of time.